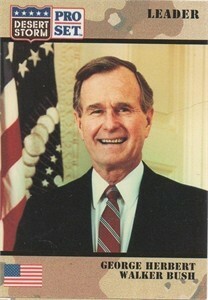 1991 Pro Set Desert Storm card of former President George H.W. Bush. ONLY 2 AVAILABLE FOR SALE.